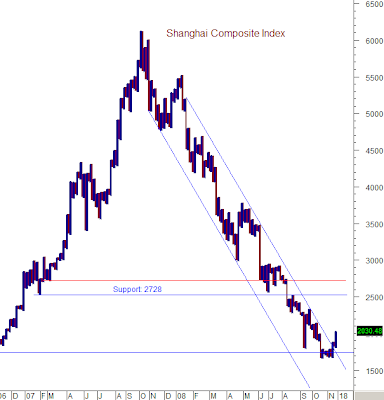 Humble Student of the Markets: China the next shoe? or the final capitulation? Cam, interesting post. I'd argue that overcapacity is a normal part of a recession in an industrializing nation. Different types of economies display different symptoms of recession. The US and Europe are displaying typical symptoms of a service-based economy. On another note, I just completed a study of US dollar and inflation spreads. It shows that US dollar will be in a bull market for years to come. Talk to you more about it next time.